Last July, opening the Edge Seminar, "The New Science of Morality", Jonathan Haidt digressed to talk about two recently-published papers in Behavioral and Brain Sciences which he believed were "so important that the abstracts from them should be posted in psychology departments all over the country." One of the papers "Why Do Humans Reason? Arguments for an Argumentative Theory," published by Behavioral and Brain Sciences, was by Hugo Mercier and Dan Sperber. "The article,” Haidt said, "is a review of a puzzle that has bedeviled researchers in cognitive psychology and social cognition for a long time. The puzzle is, why are humans so amazingly bad at reasoning in some contexts, and so amazingly good in others?" "Reasoning was not designed to pursue the truth. Reasoning was designed by evolution to help us win arguments. That's why they call it The Argumentative Theory of Reasoning. So, as they put it, "The evidence reviewed here shows not only that reasoning falls quite short of reliably delivering rational beliefs and rational decisions. It may even be, in a variety of cases, detrimental to rationality. Reasoning can lead to poor outcomes, not because humans are bad at it, but because they systematically strive for arguments that justify their beliefs or their actions. This explains the confirmation bias, motivated reasoning, and reason-based choice, among other things." "Now, the authors point out that we can and do re-use our reasoning abilities. We're sitting here at a conference. We're reasoning together. We can re-use our argumentative reasoning for other purposes. But even there, it shows the marks of its heritage. Even there, our thought processes tend towards confirmation of our own ideas. Science works very well as a social process, when we can come together and find flaws in each other's reasoning. We can't find the problems in our own reasoning very well. But, that's what other people are for, is to criticize us. And together, we hope the truth comes out." Dan Sperber , an influential French social and cognitive scientist, is widely recognized as being among the most brilliant cognitive scientists writing about reason, language, culture, and human evolution. 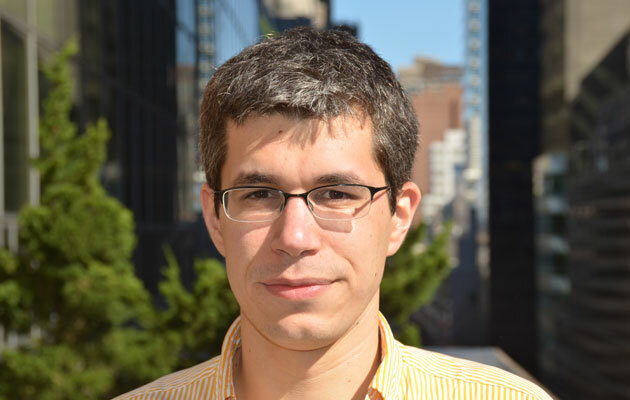 Hugo Mercier, his former student, is a post-doc at University of Pennsylvania and coauthor with Sperber of a number of papers. Their Argumentative Theory has already generated much excitement in the academic community. Reaction — from heated rejection to enthusiastic acceptation — have never been indifferent. The paper has created a storm of interest and controversy and has has attracted attention well beyond academic circles. Sharon Begley (Newsweek) and Jonah Lehrer  (Wired) were among the many journalists who wrote stories. In addition, many leading thinkers have taken note. Gerd Gigerenzer  finds this view on reasoning is most provocative as "reasoning is not about truth but about convincing others when trust alone is not enough. Doing so may seem irrational, but it is in fact social intelligence at its best." Steven Pinker  notes that "The Argumentative Theory is original and provocative, has a large degree of support, and is strikingly relevant to contemporary affairs, including political discourse, higher education, and the nature of reason and rationality. It is likely to have a big impact on our understanding of ourselves and current affairs." And Jonathan Haidt says the “the article is one of my favorite papers of the last ten years. I believe that they have solved one of the most important and longstanding puzzles in psychology: why are we so good at reasoning in some cases, but so hopelessly biased in others? Once I read their paper, I saw the argumentative function" of reasoning everywhere — particularly in the reasoning of people I disagreed with, but also occasionally even in myself. They're on to a very powerful idea with many social and educational ramifications." Dan Sperber came up with the argumentative theory because he was taking stock of what was happening in the world of psychology at large. A lot of people in psychology were accumulating evidence that the mind, and reasoning in particular, doesn't work so well. Reasoning produces a lot of mistakes. We are not very good in statistics, and we can't understand very basic logical problems. We do all these irrational things, and despite mounting results, people are not really changing their basic assumption. They are not challenging the basic idea that reasoning is for individual purposes. The premise is that reasoning should help us make better decisions, get at better beliefs. And if you start from this premise, then it follows that reasoning should help us deal with logical problems and it should help us understand statistics. But reasoning doesn't do all these things, or it does all these things very, very poorly. But for some reason, psychologists are unable to challenge this basic premise that reasoning really is supposed to help us. And that's why Dan Sperber came up with the idea that reasoning doesn't have this function of helping us get better beliefs and make better decisions. Instead, reasoning is for argumentation. Dan's basic idea is that the function of reasoning, the reason it evolved, is to help us convince other people and to evaluate their arguments. Here we have a radically different idea that stands apart from the common wisdom in psychology, cognitive science, and even in philosophy. In Western thought, for at least the last couple hundred years, people have thought that reasoning was purely for individual reasons. But Dan challenged this idea and said that it was a purely social phenomenon and that the goal was argumentative, the goal was to convince others and to be careful when others try to convince us. And the problem with the confirmation bias is that it leads people to make very bad decisions and to arrive at crazy beliefs. And it's weird, when you think of it, that humans should be endowed with a confirmation bias. If the goal of reasoning were to help us arrive at better beliefs and make better decisions, then there should be no bias. The confirmation bias should really not exist at all. We have a very strong conflict here between the observations of empirical psychologists on the one hand and our assumption about reasoning on the other. On the other hand, when people are able to discuss their ideas with other people who disagree with them, then the confirmation biases of the different participants will balance each other out, and the group will be able to focus on the best solution. Thus, reasoning works much better in groups. When people reason on their own, it's very likely that they are going to go down a wrong path. But when they're actually able to reason together, they are much more likely to reach a correct solution. The confirmation bias is one of the main phenomena that the argumentative theory can explain. Another one quickly is what psychologists call 'reason-based choice.' When we make a decision, people try to reason about their decision. They try to see if they are making the right choice. But while they are trying to make the right choice, the effect their reasoning has on their decision is not necessarily to drive them towards a good decision, but simply to drive them towards a decision that they can justify. Because reasoning is just trying to find arguments, it is going to find arguments for the different options. And the option that is the best supported is going to be the one that wins, even if it's not necessarily the best decision. These are just two of the many phenomena that the theory can explain. But the theory also has practical applications beyond providing us with a deeper understanding of psychology. I'm just going to cite two, maybe the most important. One of them pertains to education. People have noticed that it's difficult to teach kids abstract topics like mathematics or physics. One method, the method that has maybe been the most effective at teaching kids these difficult topics has been corroborative learning. Over the last 30 years, education researchers have noticed that the best way to teach kids difficult or abstract problems is to put them in groups and to have them reason together about the topic. If you take a group of kids and you give them a problem to solve together, and you give them certain constraints, then you obtain a much, much deeper understanding than you would ever obtain if the kids were on their own. That is the first important practical consequence of our theory. The second one is in politics. The theory fits in very well with the idea of deliberative democracy. In deliberative democracy, the idea is that people should argue with one another more often, and that instead of simply using voting as a way of aggregating opinion, people should instead be deliberating with one another, they should be discussing their ideas, they should be sharing their points of views and criticizing each other's point of view. And as this huge movement in political science tries to argue for deliberative democracy, they performed experiments to show the validity of this technique. Indeed, it has been shown to work quite effectively in quite a few cases. And our theory can both provide an explanation for why deliberative democracy can be helpful and effective. It can also help us perfect the way deliberative democracy can work by making us better understand how it works, and in what circumstances it can really help. Up to now, our work has mostly been one of reviewing the literature in psychology and trying to aggregate all these results. There is a huge literature in empirical psychology, coming from social psychology, from decision making, from reasoning, showing that people have all these sort of biases. And then also this literature, as I was saying, in education, in political science. We've been reviewing that literature, and rather than trying to do our own little experiments, we have been trying to make sense of these thousands and thousands of data points to integrate them into a single theory. This activity accounts for most of our work, and I believe that there is a place for it in psychology. Rather than doing experimental empirical research, we take a step back and look at what has been done and make sense of it. Imagine, at some point in the past, two of our ancestors who can't reason. They can't argue with one another. And basically as soon as they disagree with one another, they're stuck. They can't try to convince one another. They are bound to keep not cooperating, for instance, because they can't find a way to agree with each other. And that's where reasoning becomes important. We know that in the evolutionary history of our species, people collaborated a lot. They collaborated to hunt, they collaborated to gather food, and they collaborated to raise kids. And in order to be able to collaborate effectively, you have to communicate a lot. You have to tell other people what you want them to do, and you have to tell them how you feel about different things. But then once people start to communicate, a host of new problems arise. The main problem posed by communication in an evolutionary context is that of deceiving interlocutors. When I am talking to you, if you accept everything I say then it's going to be fairly easy for me to manipulate you into doing things that you shouldn't be doing. And as a result, people have a whole suite of mechanisms that are called epistemic vigilance, which they use to evaluate what other people tell them. If you tell me something that disagrees with what I already believe, my first reaction is going to be to reject what you're telling me, because otherwise I could be vulnerable. But then you have a problem. If you tell me something that I disagree with, and I just reject your opinion, then maybe actually you were right and maybe I was wrong, and you have to find a way to convince me. This is where reasoning kicks in. You have an incentive to convince me, so you're going to start using reasons, and I'm going to have to evaluate these reasons. That's why we think reasoning evolved. Dan Sperber is the first author to come up with this theory — reasoning is for argumentation — in a well-formed way. He was influenced by the two best-known evolutionary psychologists, John Tooby and Leda Cosmides, who introduced him to the idea that the human mind was mostly made up of mechanisms designed by evolution for a specific function. Dan took this idea further, in the direction of massive modularity, and he applied it quite successfully in a variety of domains. The basic idea of evolutionary psychology is to take the power of natural selection and evolutionary theory and apply it to the human mind. It has encountered a lot of resistance in the past, partly for political reasons, because people thought evolutionary psychology necessarily had to be on the right of the political spectrum and that there was a danger that by saying that too many things were innate, that you could, for instance, say that one race was inferior to another — or those sort of things. But even if we discount these political attacks that might have been founded at some point (but are probably not anymore) there is one main attack against evolutionary psychology that remains— which is that evolutionary psychologists are mostly telling 'just-so' stories. The idea here is that they are just coming up with evolutionary theories of why something evolved, and you can't falsify them, and so they're not scientific. That this is not true at all, and that evolutionary psychologists are following the same methodology as any evolutionary biologist. They are taking inspiration from the theory of evolution by natural selection, and they are trying to derive new theories about how the mind works and what is the function of different cognitive mechanisms. But then they can really test these hypotheses. The way it works is basically you say that that mechanism X (in our case, reasoning) has a given function. We think that reasoning, in our case, has the function of arguing. And then you can see if this function fits with the way reasoning works. Imagine you're doing that with an artifact. If you have a hammer, and you make the hypothesis that the hammer is designed to screw screws, then you can try to screw something with a hammer, and it's not going to work so well, so you can discard your hypothesis. It's not true that a functional hypothesis is not falsifiable. You can easily take your hypothesis and say, this is wrong, this doesn't work. And in our case, what we've done is we've said, okay, we are going to postulate that the functioning of reasoning is to argue, and we're going to see where this leads us and see whether the empirical evidence supports our idea or not. And the way you do that is you take the hypothesis about the function of reasoning, and you derive predictions about what reasoning should do, when it should work well, when it should not work well, how it should work, etc. That's what we did. We predicted that reasoning would work rather poorly when people reason on their own, and that is the case. We predicted that people would reason better when they reason in groups of people who disagree, and that is the case. We predicted that reasoning would have a confirmation bias, and that is the case. When you take all of these predictions, it becomes very hard to say that the theory is wrong or even that the theory is not falsifiable, because if these predictions had turned out to be false, then the theory would have been falsified. It's possible to develop evolutionary theories of the human mind. Not only is it possible, it opens up a very important heuristic to understand the mind. If you don't use evolutionary theory it's likely that you're going to end up using your intuitions about what the mind is supposed to do. And these intuitions have no reason to be right. Then again, the starting point of our theory was this contrast between all the results showing that reasoning doesn't work so well and the assumption that reasoning is supposed to help us make better decisions. But this assumption was not based on any evolutionary thinking, it was just an intuition that was probably cultural in the West, people think that reasoning is a great thing. And they never challenge that intuition. It's something that evolutionary psychology could have done a long time ago, and if people had perhaps taken more time and had taken evolutionary psychology more seriously, they might have been able to revise this likely faulty premise a while ago. I already cited two of the many consequences for the argumentative theory — one for education and one for politics. But even in our personal lives it's quite important to keep in mind that when we're reasoning on our own, it's quite possible that we're going to arrive at false conclusions and misleading decisions. If you take a very intuitive example, let's say you have a quarrel with your partner and you go to brood over what happened in your room. And you keep thinking about why it was all his or her fault, and why you did everything that was possible to make things right, and you know it really has nothing to do with you. You find many, many reasons why you didn't do anything wrong, and it's all the other person's fault. On the other hand, if you had discussed the same thing with someone who might have been more neutral, then that person might have been able to tell you that perhaps you did something that wasn't quite right, and maybe there your partner was actually correct. In our lives, it is important to keep in mind the pitfalls that individual reasoning can lead us to, and this can stop us from making poor decisions because we've been trapped by our confirmation bias. In our theory, what's important to keep in mind is that reasoning is used in a very technical sense. And sometimes not only laymen, but philosophers, and sometimes psychologists tend to use "reasoning" in an overly broad way, in which basically reasoning can mean anything you do with your mind. By contrast, the way we use the term "reasoning" is very specific. And we're only referring to what reasoning is supposed to mean in the first place, when you're actually processing reasons. Most of the decisions we make, most of the inferences we make, we make without processing reasons. For instance, if you are going to cross the street and you see a car coming towards you, you don't have to reason and say well, because the car is coming towards me and because it's coming quite fast, maybe I had better not cross now. It comes up fairly spontaneously. Or to take another example, when you're shopping for cereals at the supermarket, and you just grab a box of cereal not because you've reasoned through all the alternatives, but just because it's the one you always buy. And you're just doing the same thing. There is no reasoning involved in that decision. By contrast, you can reason about the same choices. For instance, if once again you're back in the supermarket aisles, and you have to make the same choice, but this time you have to buy some chocolate spread and you never bought chocolate spread before, you're going to look at the different brands, you're going to look at the prices, you're going to look at their calorie content, and then you're going to reason through the tradeoffs, etc. And in that case, you're considering reasons why you should buy one chocolate spread and not the other. And here you're using reasoning. It's only when you're considering reasons, reasons to do something, reasons to believe, that you're reasoning. If you're just coming up with ideas without reasons for these ideas, then you're using your intuitions. We have been lucky enough that the main paper describing the theory was published in Behavioral and Brain Sciences, the main journal in cognitive science. The journal is perfect for presenting the theory, because it claims that people reason better when they reason together. And the journal 's format is such that the published paper is followed by commentaries by leading figures in the field, after which the authors have the opportunity to reply. We've had these very interesting exchanges with several important figures in the field, and it was very useful and satisfying. And we've published other papers. We hope to make our ideas known to a wider audience, not only in academia, which it already has done to a large extent, but also beyond academia as well. Given the practical consequences, we see it being integrated into decision-making in areas as disparate as building organizations, education, and politics, etc. Kevin P. Hand : "On the Coming Age of Ocean Exploration" Felix Warneken : "Children's Helping Hands" William McEwan : "Molecular Cut and Paste" Anthony Aguirre : "Next Step Infinity" Daniela Kaufer  and Darlene Francis : "Nurture, Nature, and the Stress That Is Life" Jon Kleinberg : "What Can Huge Data Sets Teach Us About Society and Ourselves?" Coren Apicella : "On the Universality of Attractiveness" Laurie R. Santos : "To Err Is Primate" Samuel M. McLure : "Our Brains Know Why We Do What We Do" Jennifer Jacquet:  "Is Shame Necessary?" Kirsten Bomblies : "Plant Immunity in a Changing World" Asif A. Ghazanfar : "The Emergence of Human Audiovisual Communication" Naomi I. Eisenberger : "Why Rejection Hurts" Joshua Knobe : "Finding the Mind in the Body" Fiery Cushman : "Should the Law Depend on Luck?" Liane Young : "How We Read People's Moral Minds" Daniel Haun : "How Odd I Am!" Joan Y. Chiao : "Where Does Human Diversity Come From?"